Ukip MEP’s £1/2 Million Of Fraud – Facing Court! Ukip’s retired MEP’s £1/2 Million Of Fraud – now means he is Facing Court & probable prison again for his crimes! A former Ukip MEP fraudulently claimed almost £500,000 in European Parliament expenses – using some of it to fund his domestic court battles, a court heard today. 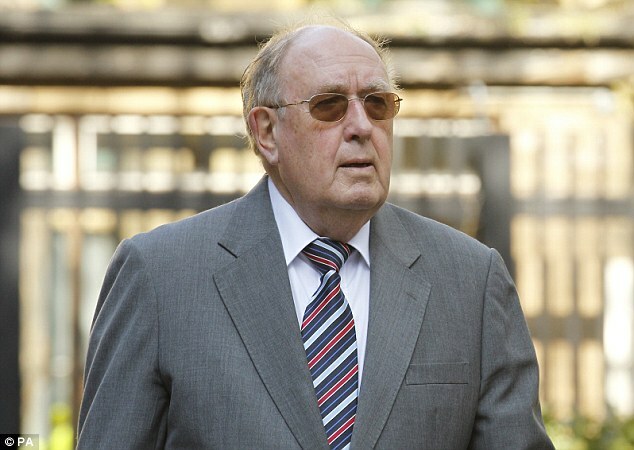 Ashley Mote, 79, of Binsted, Hampshire, is accused of a string of fraud-related offences including acquiring criminal property and obtaining a money transfer by deception. Some of the money he allegedly made from the fraud went towards funding various legal costs he had built up as a result of being prosecuted in the UK for benefit fraud offences, a jury at London’s Southwark Crown Court was told. He denies 11 offences alleged to have taken place between November 2004 and July 2010. Jonathan Davies, prosecuting, said that as an MEP, Mote could claim expenses, including a Parliamentary Assistance Allowance, or Secretarial Allowance, to help fund his work. Jurors heard that two of the organisations had previously campaigned against UK membership of the European Union. They were the Better Off Out Fund (Boof), and Direct Action Resistance To Tyranny (Dartt). However, it is alleged that neither of these companies conducted any work for Mote, who made claims of £16,000 against Boof, and £54,000 to Dartt. ‘They were simply used as a front to perpetrate, carry out fraud and to receive monies from the European Parliament,’ said Mr Davies. Mote is also said to have falsely claimed £5,000 a month for work he claimed had been carried out by Estonia based company Icos (Information Centrum Owned State). It is alleged that he even set up a Danish bank account under the similar name of ‘Information Centrim OS’ for funds from the European Parliament to be paid into, ‘dishonestly obtaining’ approximately €355,000. Giving details of Mote carrying out fraud to fund his rising legal bills, Mr Davies said: ‘He asked for payments to be made to the firm of solicitors on the basis that they were providing him with advice in relation to his duties as an MEP. ‘In fact the money was being used to fund a number of criminal and civil proceedings related to Mr Mote’s prosecution for benefit fraud offences, and indeed some unrelated civil proceedings. 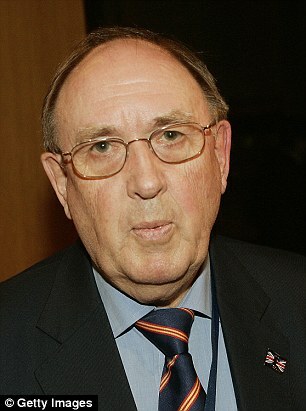 Mr Davies continued: ‘This was a sophisticated fraud committed over several years during which Mr Mote made a number of false representations and produced a number of false documents in order to deceive the European Parliament into believing that significant amounts of work were being done on his behalf, relating to his work as an MEP. 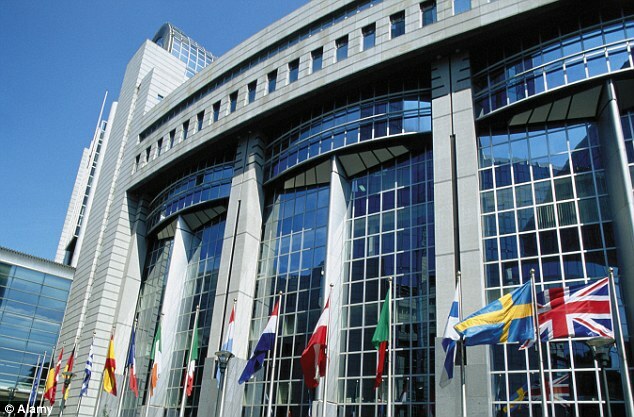 Jurors heard that while MEPs were allowed to make certain legitimate claims for expenses from the European Parliament, they were not supposed to use this money to enrich themselves. Between 2004, when he was elected MEP and 2009, Mote claimed a total of £750,000 in Parliamentary Assistance Allowance, taking into account his legitimate claims and any alleged fraudulent activity. Mote was elected a Ukip MEP for South East England in 2004, but shortly before he actually took up his seat was thrown out of Nigel Farage’s party because he was being prosecuted by the Department for Work and Pensions for benefit fraud. However, he sat as an independent MEP until 2009, when he decided not to stand for election. The court heard that in April 2004 Mote’s case for alleged income support, council tax and housing benefit fraud was sent to crown court to be dealt with, and he was elected as an MEP two months later. But he made an application to the court saying that the criminal proceedings against him were a breach of his rights to free movement, as his bail conditions meant he could not travel freely to Europe. The courts agreed with this and proceedings against Mote were stayed, prompting the prosecution to make an application to the Attorney General to review the matter. Jurors heard that in light of this, Mote wrote to the manager of European Parliament allowances asking for expenses to allow him to fight this. 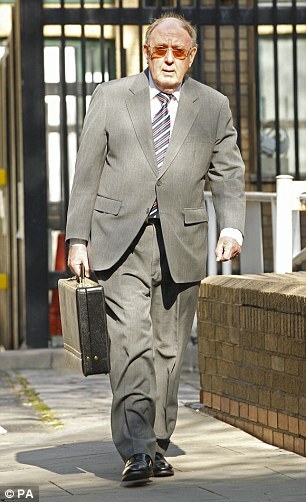 However, Mr Davies told the court that Mote did not disclose that he was being prosecuted for fraud. Jurors heard that the Attorney General overturned the decision and Mote was prosecuted and convicted of benefit fraud in August 2007. Mote denies four counts of obtaining a money transfer by deception, three of false accounting, two of fraud, and one each of acquiring criminal property and concealing criminal property. The trial resumes at 10am tomorrow when the opening will continue. This entry was posted on 05/05/2015 at 01:55	and is filed under EU, EUkip, UKIP. Tagged: Ashley Mote, GL-W, Greg Lance-Watkins, Greg_L-W, MEP, UKIP, UKIP Fraud, UKIP MEP. You can follow any responses to this entry through the RSS 2.0 feed. You can leave a response, or trackback from your own site.